Betting online on the horse races has become a popular past time for many gambling enthusiasts. As online gambling has become so popular over the last decade, it is easy to forget the origins of the sports we bet on. Sports betting online allows punters to place a bet on the horses without needing to attend the event. Online horse racing allows punters to bet on several races at once and watch them all at the same time. Technology has truly changed how many people now bet on horse races. The history behind horse racing and how it became so popular is an interesting topic, that many punters may not be familiar with. This article will give you an insight into the history of horse racing in the UK. The concept of racing horses has existed for thousands of years. Chariot racing was a popular sport in ancient Greece, and the Romans bet on horse based events. Today, horse racing is one of the most popular gambling markets in the UK. Horse racing as we know it today in the UK originated in the reign of King James in the early 1600s. Horse racing events did take place before this during the middle ages when Henry II was on the throne, but King James established horse racing as we know it today. King James named Newmarket as a royal resort and built the famous castle, hosting horse racing events there. Newmarket quickly became known for its horse racing, and other areas of the UK started to host similar events. Later, (in 1654) Oliver Cromwell actually banned horse racing in the UK but did still keep some race horses in his stables. The 1700s was the most significant era for British horse racing, under the reign of Queen Anne. Queen Anne was probably the most influential monarch in regards to horse racing as we know it today. Queen Anne was responsible for establishing Royal Ascot. It is believed that Queen Anne noticed the area that is now famous for hosting the Royal Ascot horse racing event whilst out riding her horse. She is said to have spotted the area in 1711 and expressed interest in the land close to Windsor Castle, believing it would be the perfect place for horses to gallop. Shortly after this, the first meeting at Ascot was held and the idea of the Royal Ascot racing event was born. 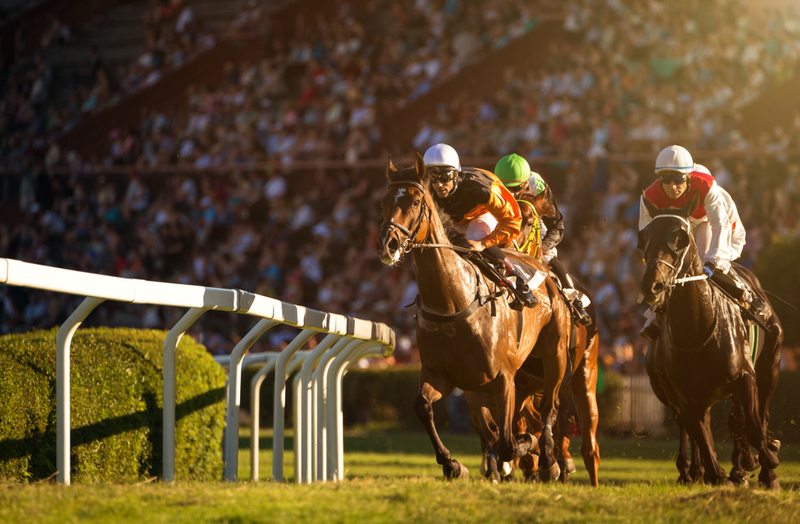 The late 1700s was a crucial time for horse racing history, a time where a number of popular horse races that still exist today were first introduced. The Epsom Oaks was first ran in 1779, shortly followed by the Epsom Derby in 1780. In 1928, Winston Churchill introduced the Race Betting Act to combat illegal betting operations from taking place. The act focused on the governance of horse race betting and meant that it could be a taxable resource for the UK. Horse racing continued to be popular in the 1940s when Britain was at war. However, there were some significant changes to the UK’s horse racing industry. The Grand National did not take place between 1941 and 1945, and several horse racing courses were utilised as part of the war effort. Ascot was used as a German prisoner of war camp, and Bath was used by the RAF as an airfield. In the 1950s and 1960s, the introduction of television meant that horse racing could be enjoyed from the comfort of the homes of families all across the country. Although at this point, viewers couldn’t yet bet on a race unless they were at the race track, watching the horse racing on television became a popular past time. 1961 was a significant year for the world of horse betting. The Betting Levy Act was introduced, meaning that bookmakers could allow punters to bet on horse racing through betting shops. This meant that punters didn’t have to be at the race course to place a bet, and betting shops became very popular. Although the first online betting site was introduced in 1996, it is only in the last decade that online gambling has become hugely successful. With modern technology, punters can now bet on several races at the same time and always have continuous access to the action from around the world.